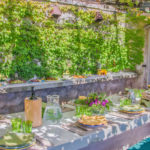 Limoneto carefully selected staff ensures the professional service, but you will also be getting the warm personal touch of a private household. 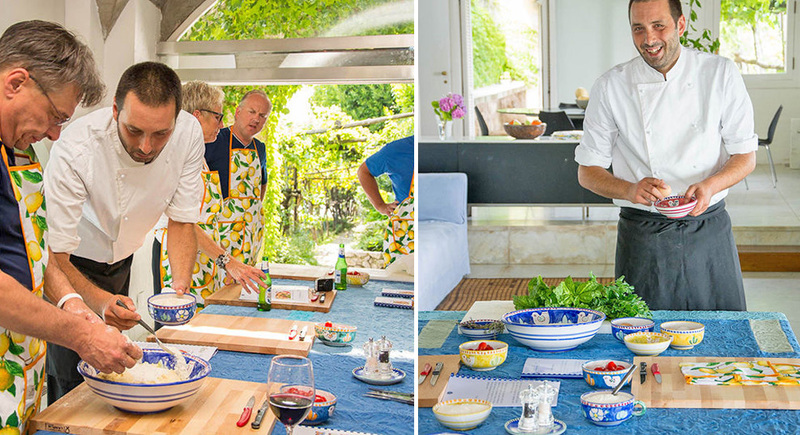 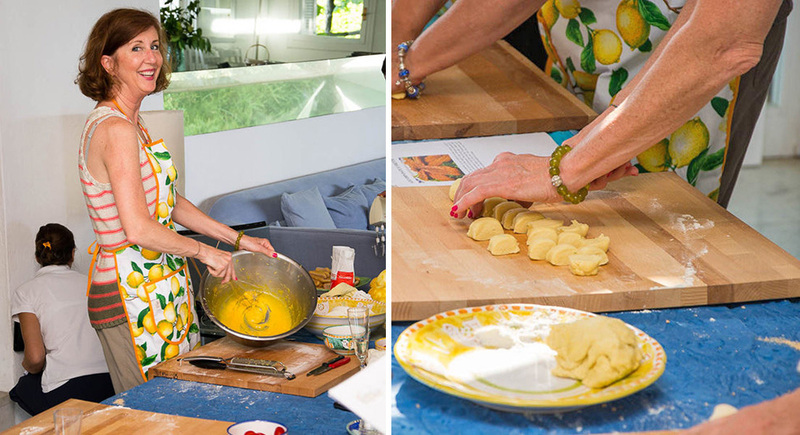 The classes are chef demonstrated with some hands-on cooking as well. 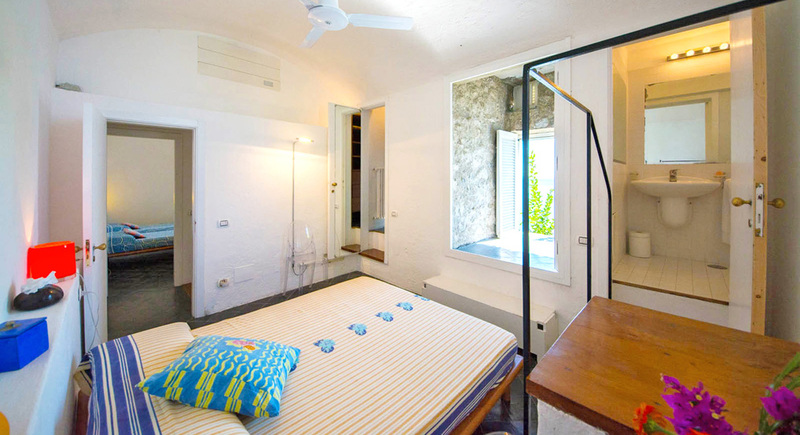 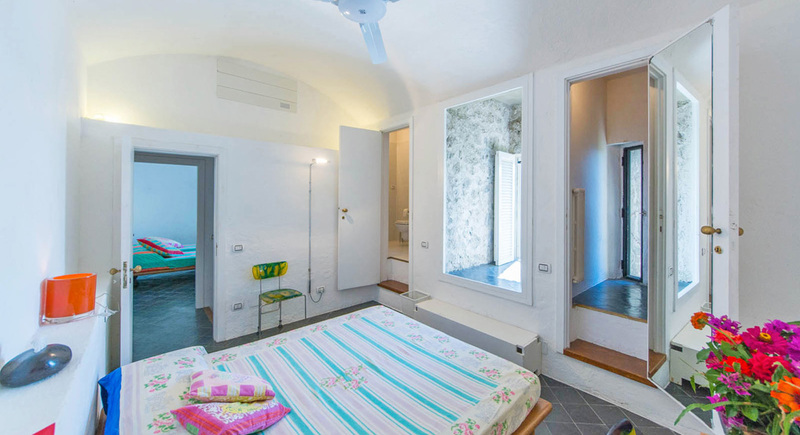 Within the large estate there is another independent rental villa called Fontanella . 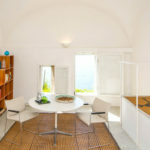 It is possible to rent the entire estate accommodating up to 26 people. 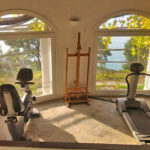 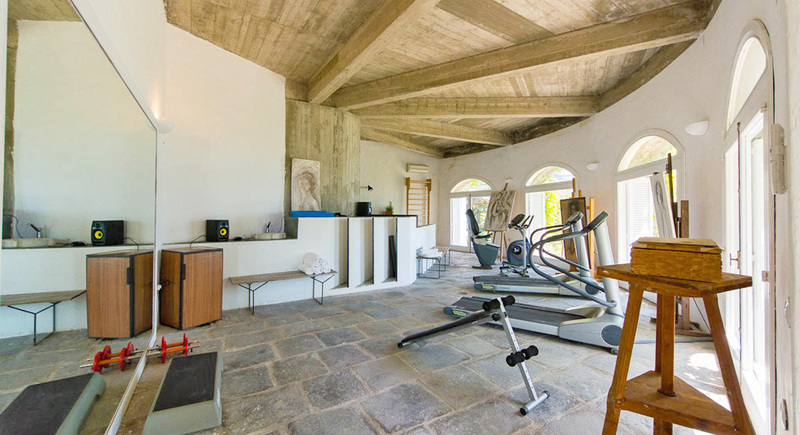 The former owner of the villa was a painter and her studio has been transformed into a gym with the latest Techno Gym equipment. 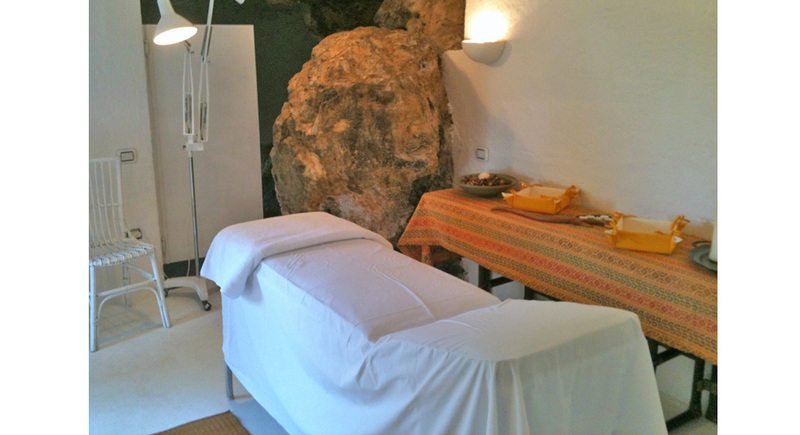 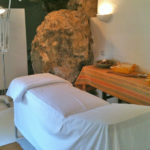 Next to the gym a unique massage room hewn into the rock. 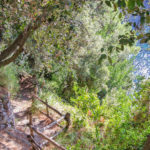 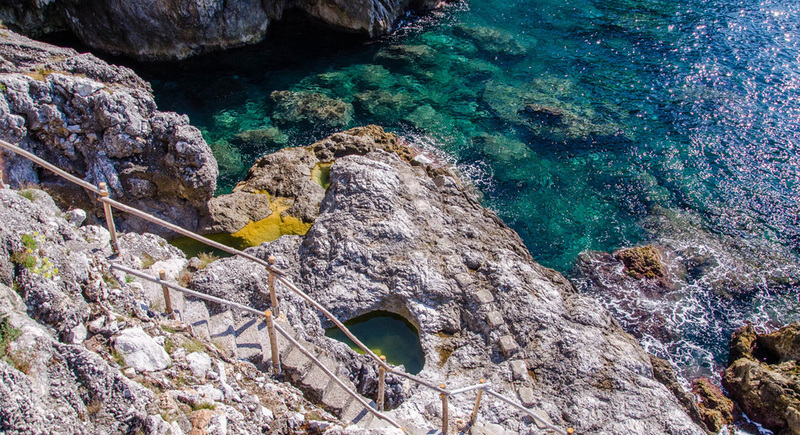 Nestled deep into the cliff, the private Grotto is accessed by another winding path that leads you into the grotto itself. 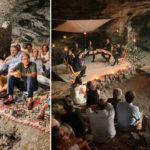 Classical music concerts can be staged here upon request. 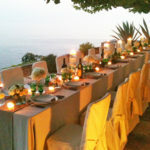 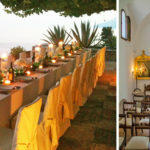 The property, with its own private chapel on the grounds, offers a perfect setting for an exclusive and romantic wedding celebration in Amalfi Coast. 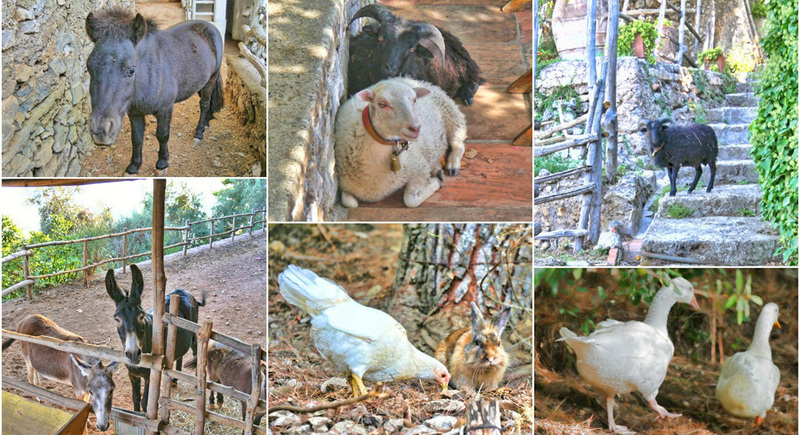 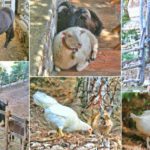 Animal lovers will enjoy meeting the animals living on the estate farm or grazing around the property. 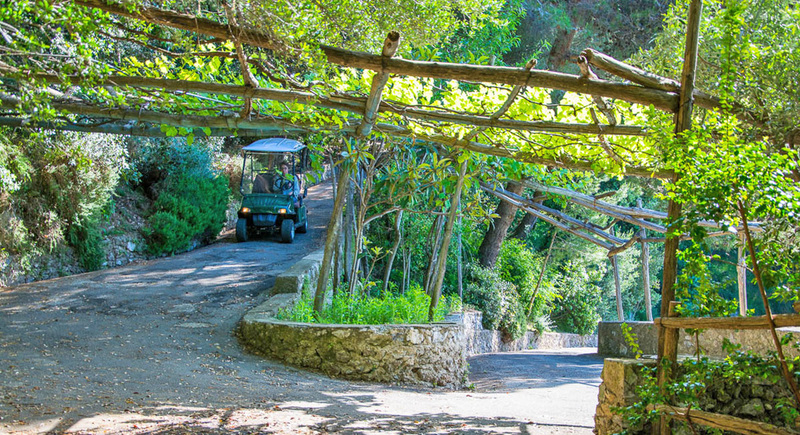 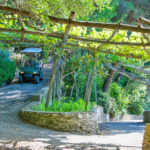 The estate provides small electric cars for easy access to the villa situated at the end of a winding tarmac road. 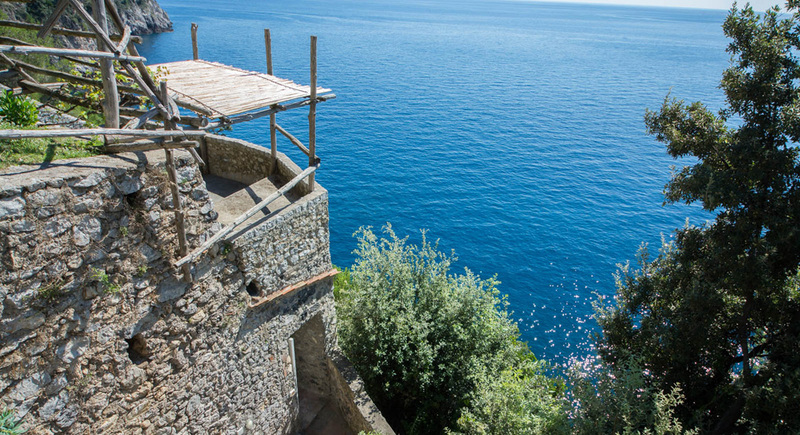 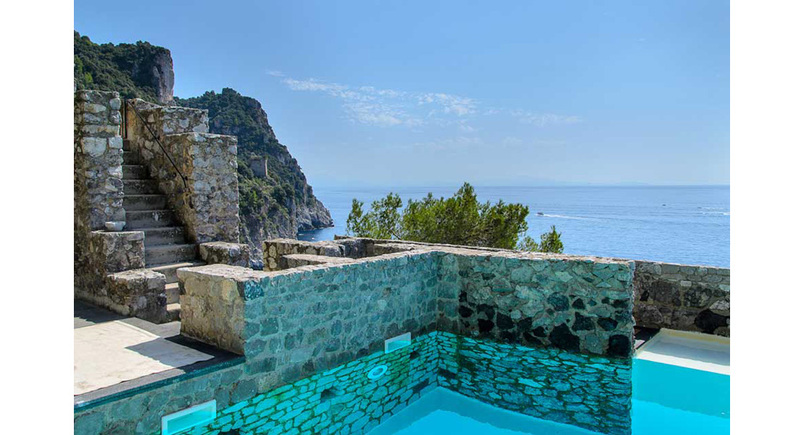 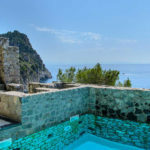 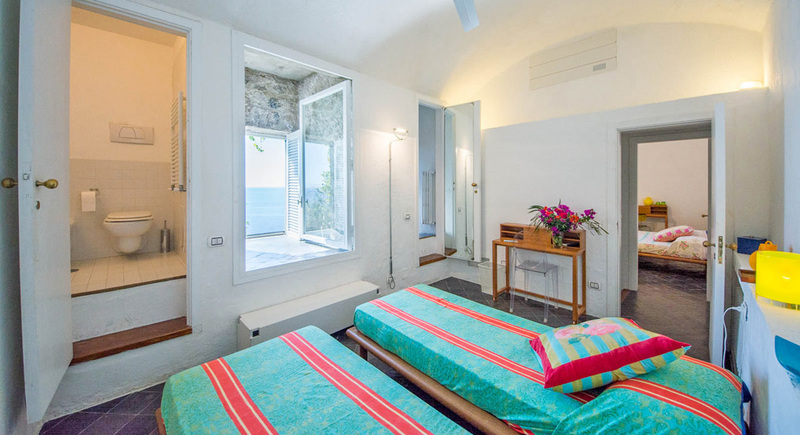 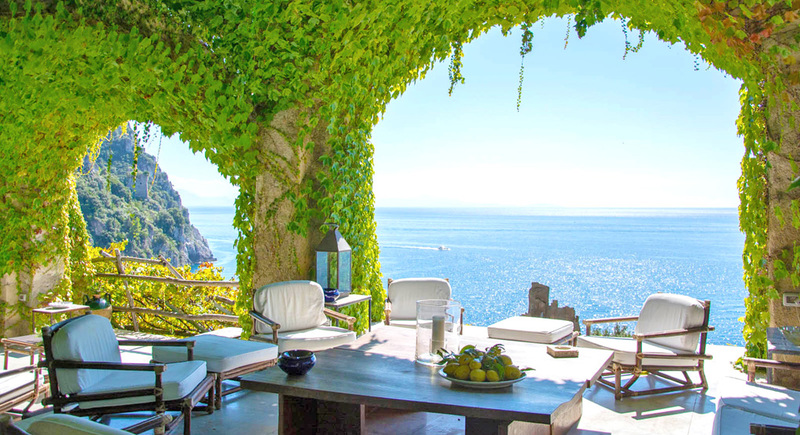 The ultimate Amalfi escape, this stunning contemporary villa sits atop a cliff above the deep blue waters of the Mediterranean and has private sea access. 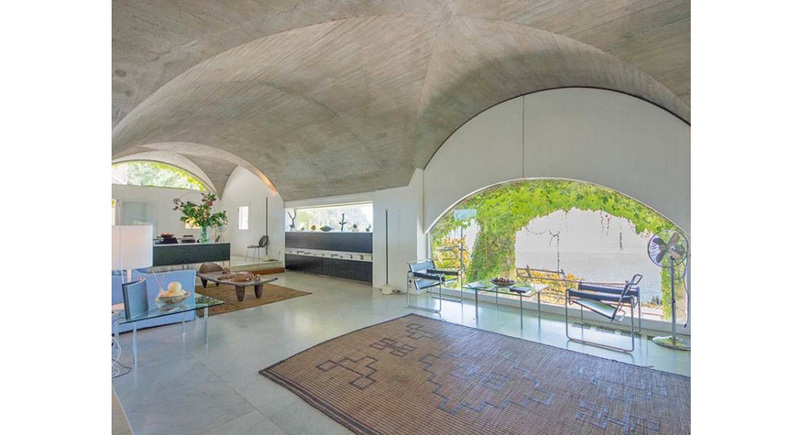 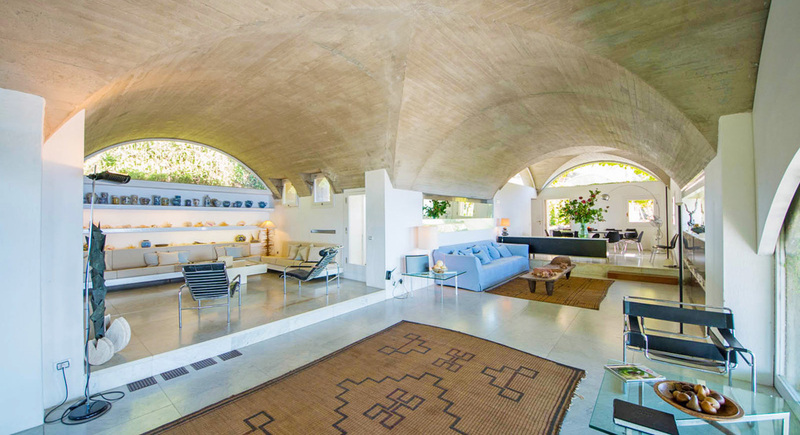 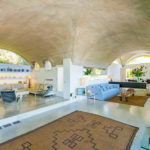 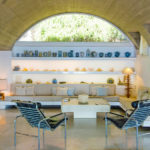 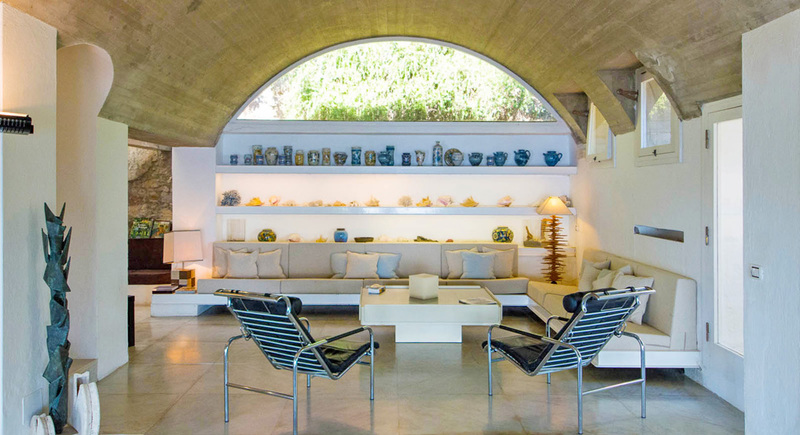 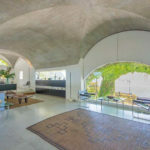 A one-of-a-kind property designed by a prominent Italian architect in the 1960s, this sleek, fully-staffed villa clings to the sea’s edge within a fragrant lemon grove. 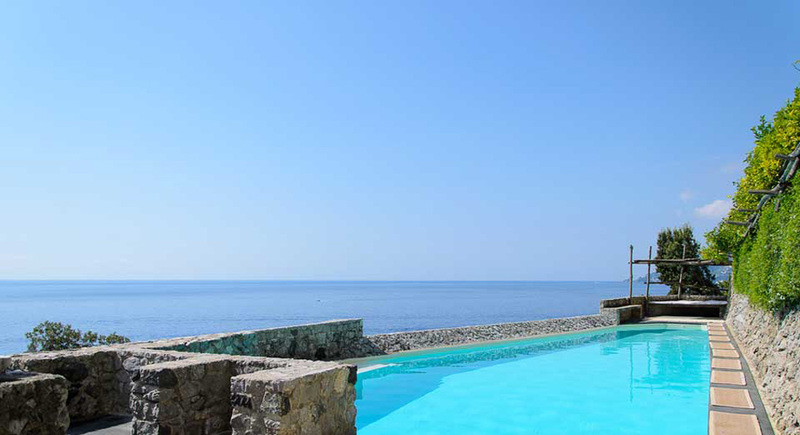 The sublime seaviews extend from the stylish interior onto the vine-laden terrace and to the unique saltwater pool. 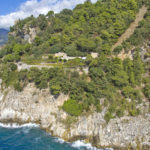 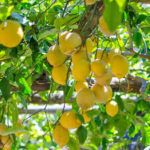 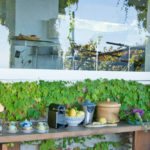 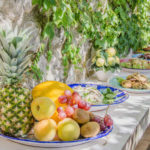 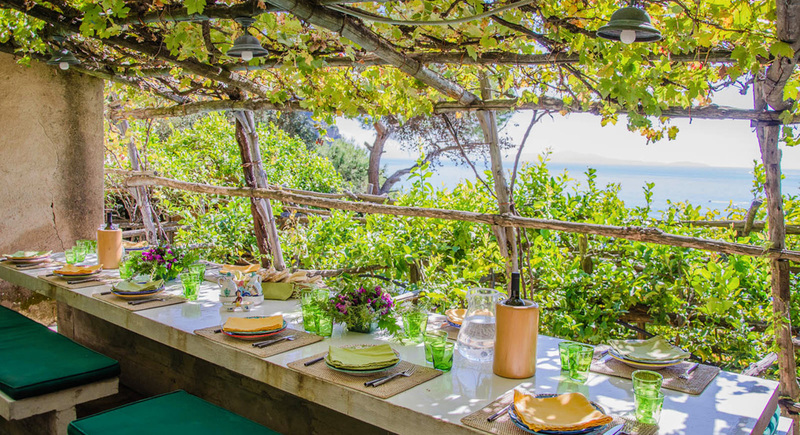 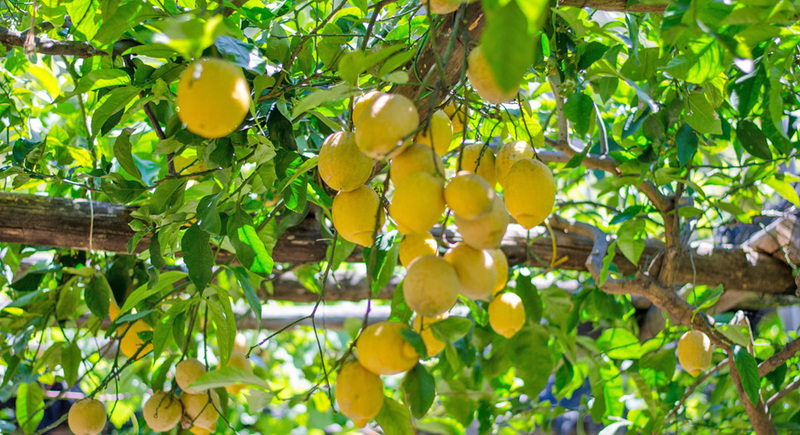 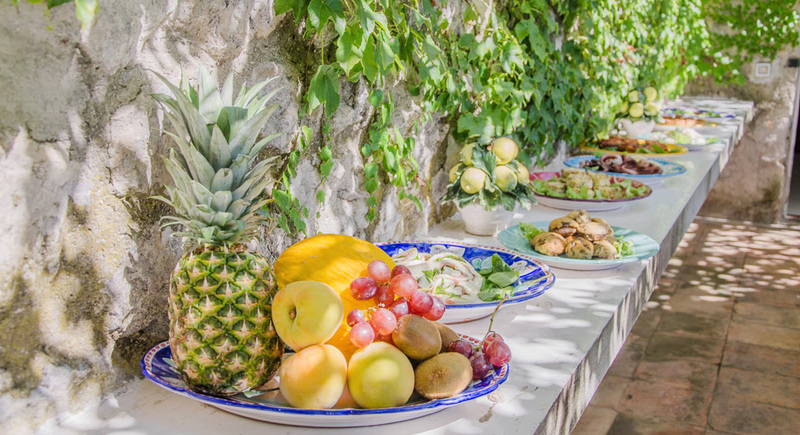 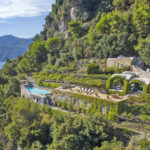 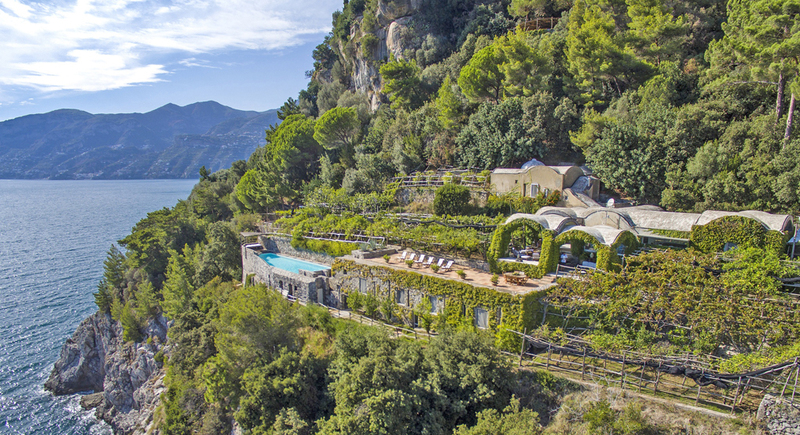 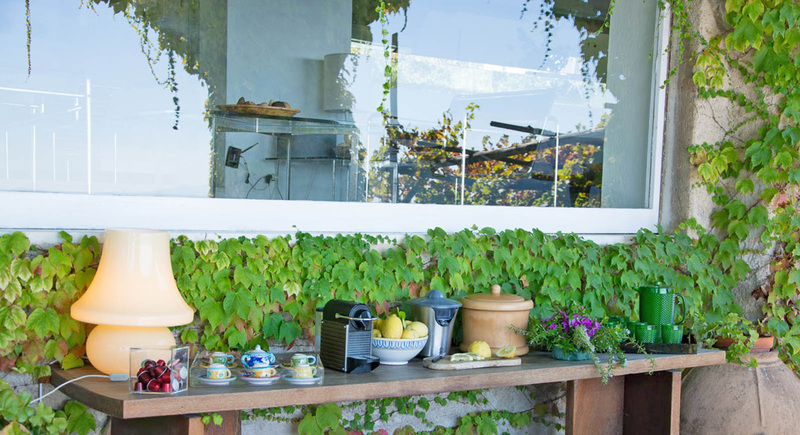 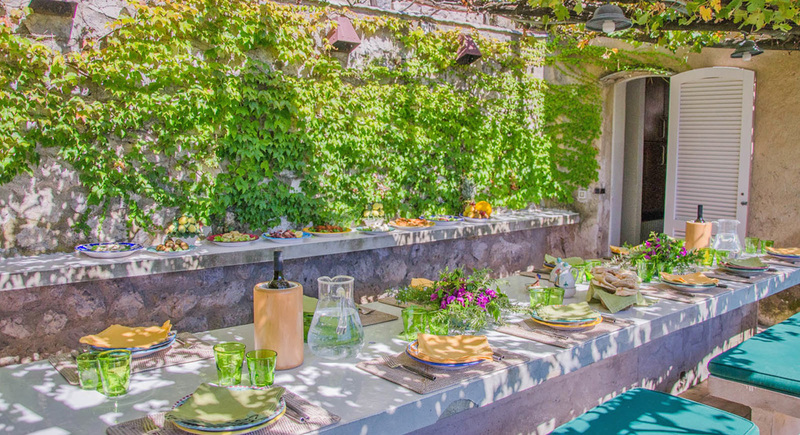 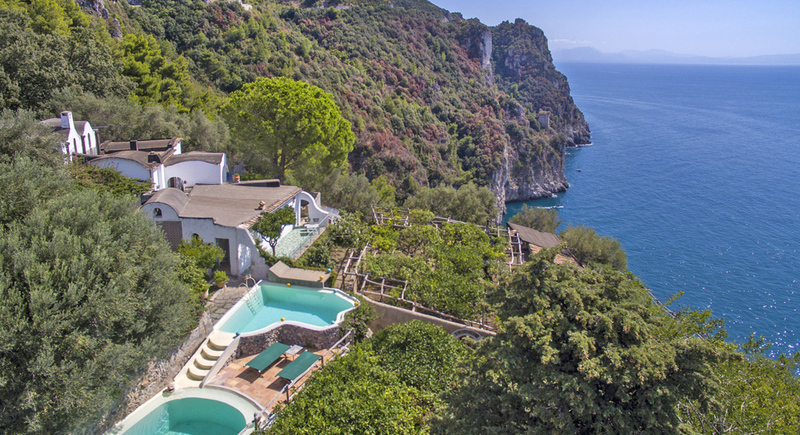 Nestled within one of the most extensive and beautiful private estates of the whole Amalfi Coast, covered in lemon trees and lush vegetation, the villa offers guests a perfectly secluded and exquisite location. 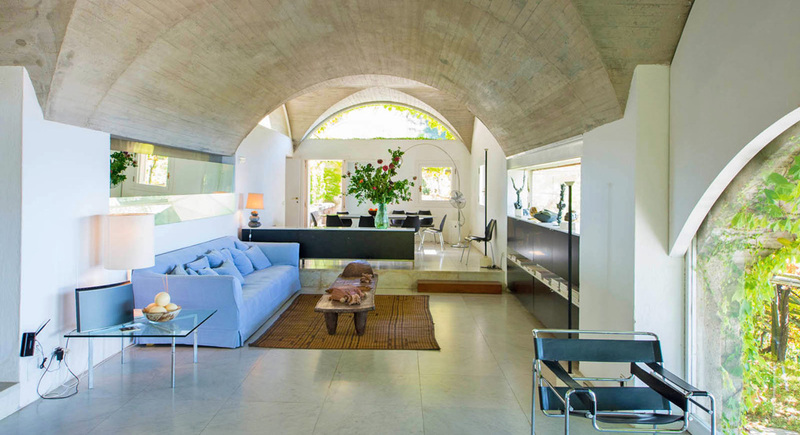 The interiors feature large open spaces with vaulted ceilings and a refined collection of contemporary furniture. 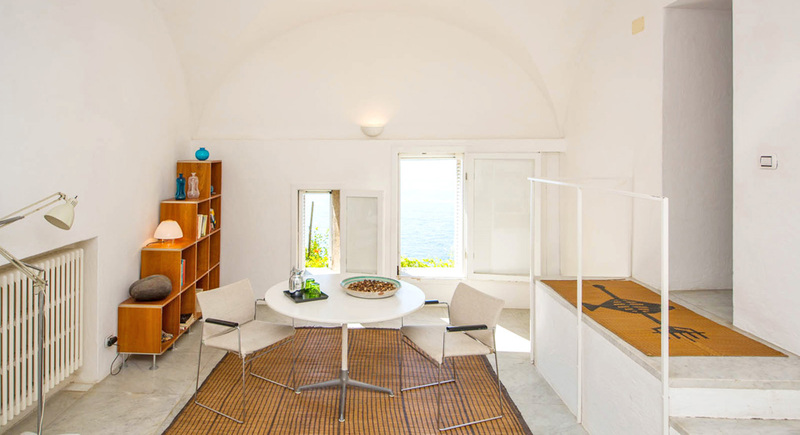 The crisp white walls are wonderfully complemented by colorful decorative accents and, of course, the vivid tableaux of the blue sea. 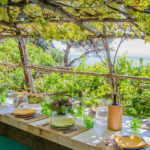 There is a large living room with a dining area, however, you will likely want to have most of your meals, prepared by your private chef and using seasonal, locally sourced ingredients, on the gorgeous shaded veranda with soaring seaviews. 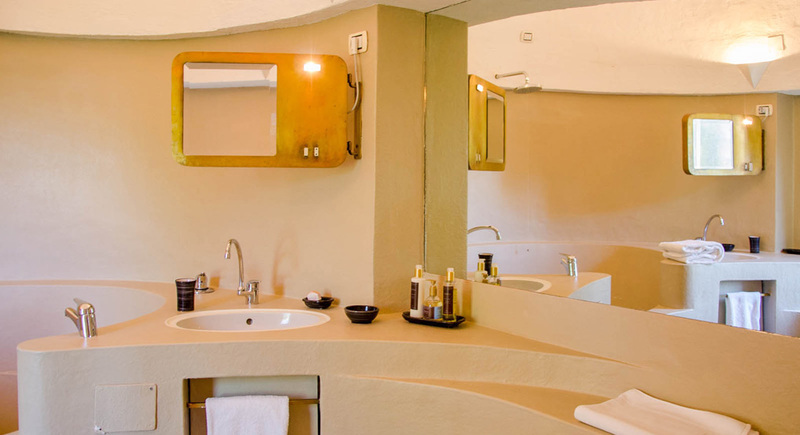 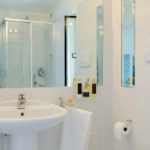 The seven bedrooms are spaced out on the various floors and all have en suite bathrooms and air-conditioning. 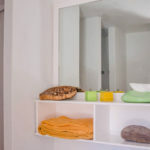 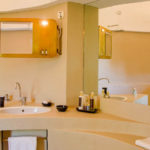 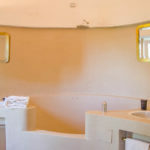 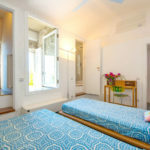 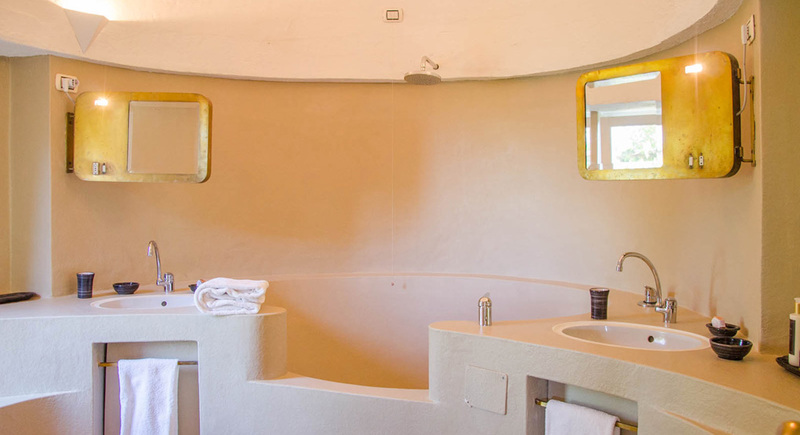 The master bedroom is on the top floor and includes a dressing room and bathroom with both a shower and large round bathtub. 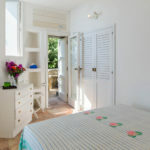 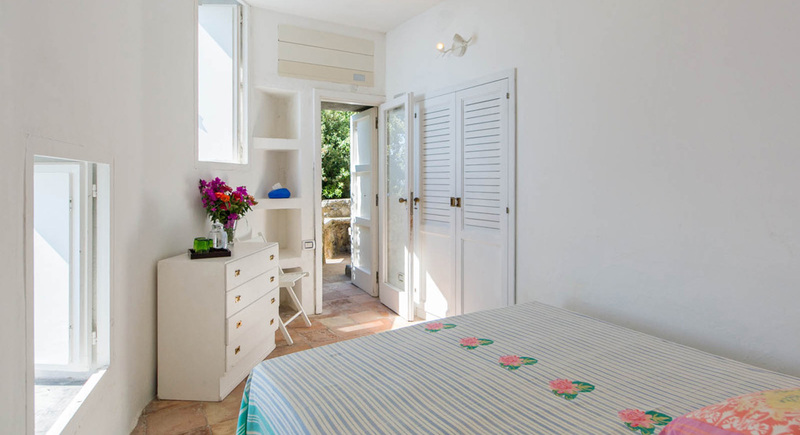 One double ensuite bedroom is located in the separate Garden House. 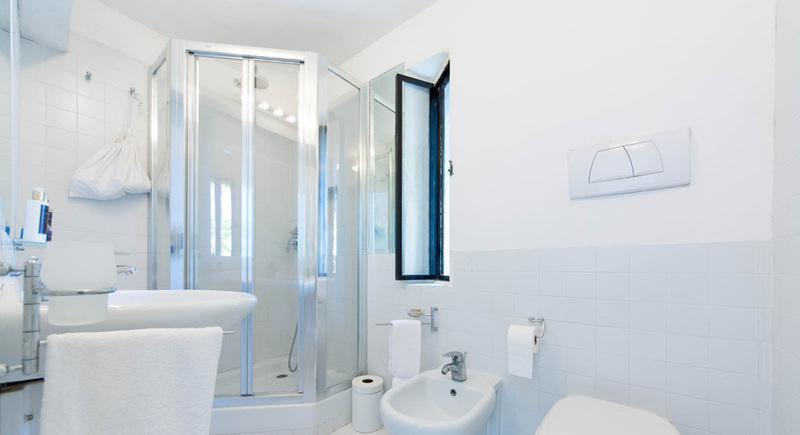 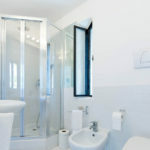 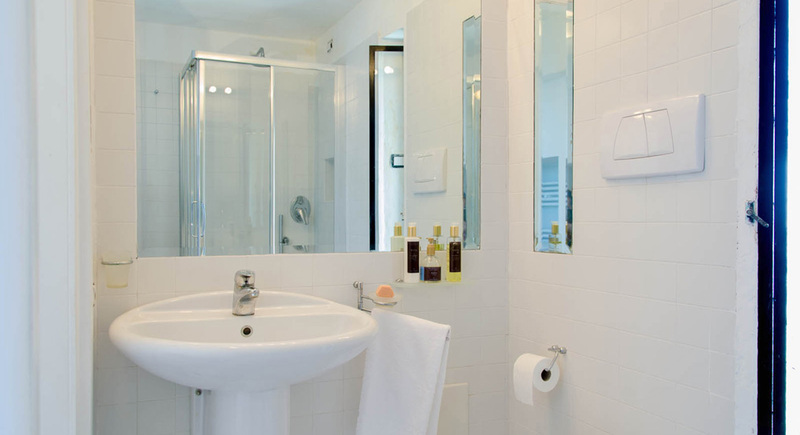 En suite double next to the kitchen which can works for a nanny or staff. 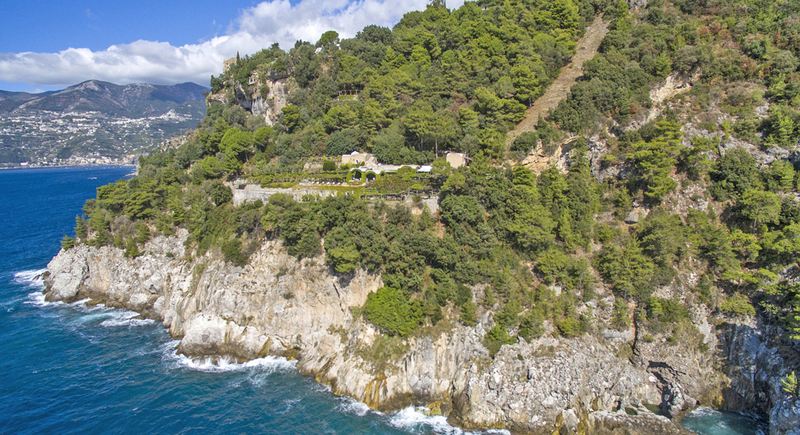 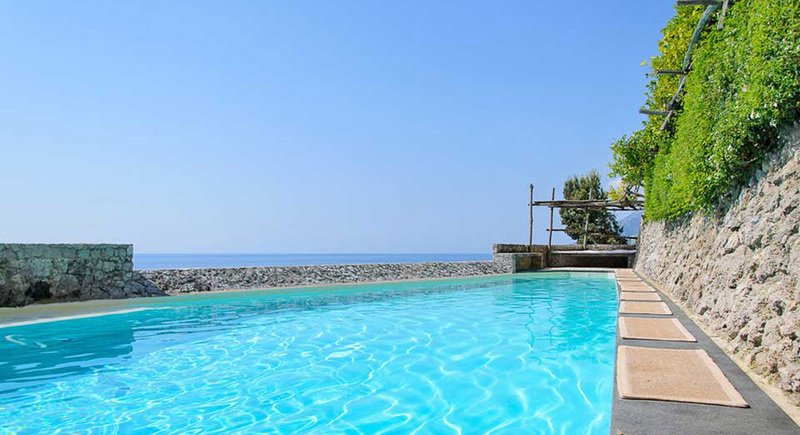 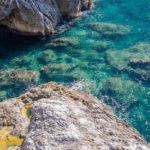 When you’re not leisurely relaxing by the panoramic saltwater pool, you can take the path which leads down to a private rocky cove for a refreshing swim in the spectacular sea. 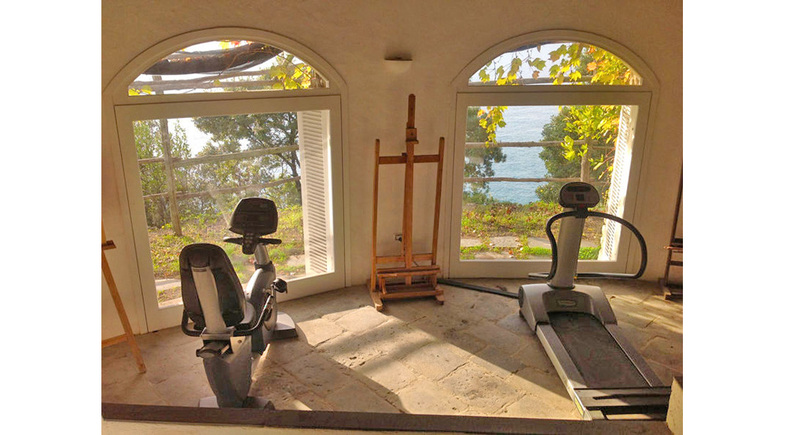 There is a well-equipped gym area for those who would like to maintain their fitness route and to assist you with getting around the estate, there are some small electric cars at guests’ disposal. 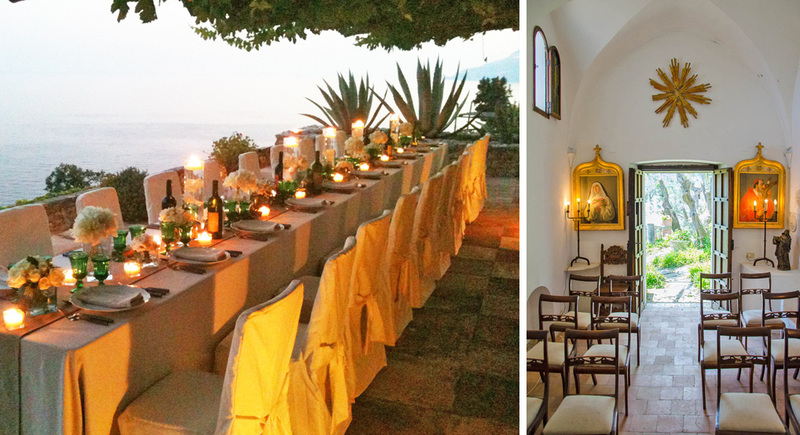 The villa is also ideal for small group functions, like weddings thanks to its private chapel and 20-person multifunction meeting room. 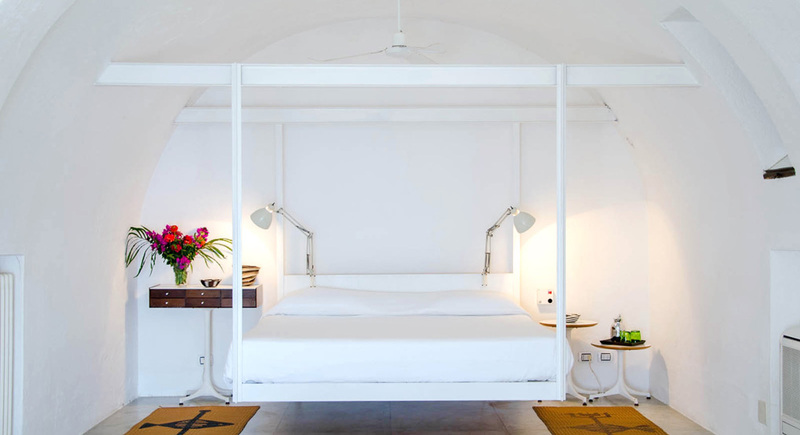 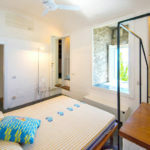 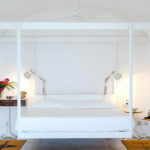 An additional 12 guests can be accommodated in a separate villa found on the estate. 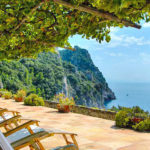 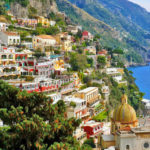 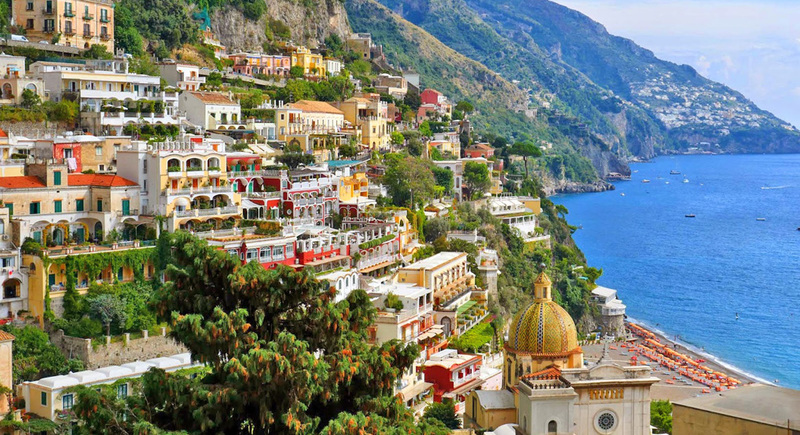 The many marvels of the Amalfi Coast are at your fingertips, from wandering its vibrant villages to strolling in lively Sorrento and from visiting historic castles and churches to enjoying a boat ride to admire the incredible coastline. 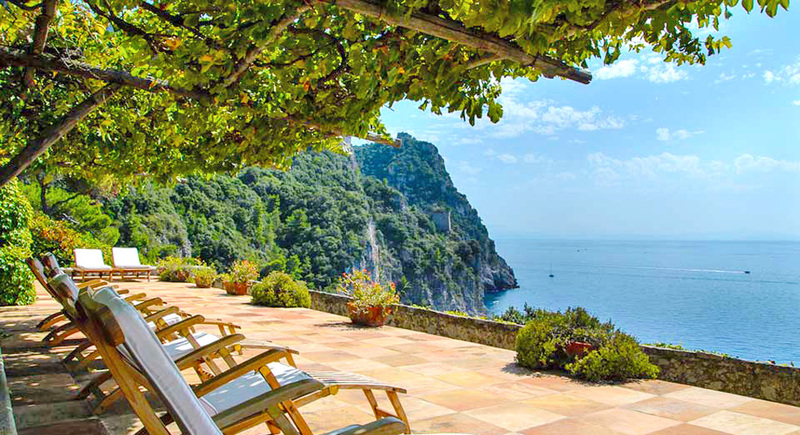 Then at the end of the day, your heavenly villa retreat awaits. 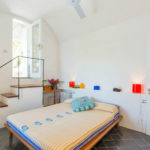 •	It is made up of the main villa, with 5 bedrooms, one double with en suite for staff or a nanny and a garden house with a further bedroom. 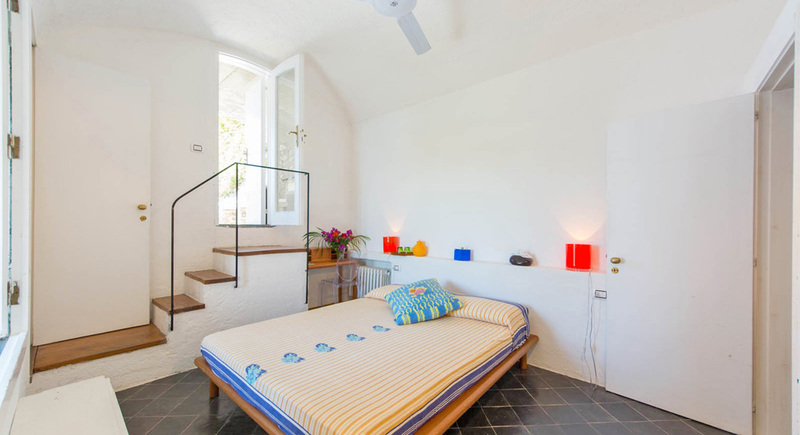 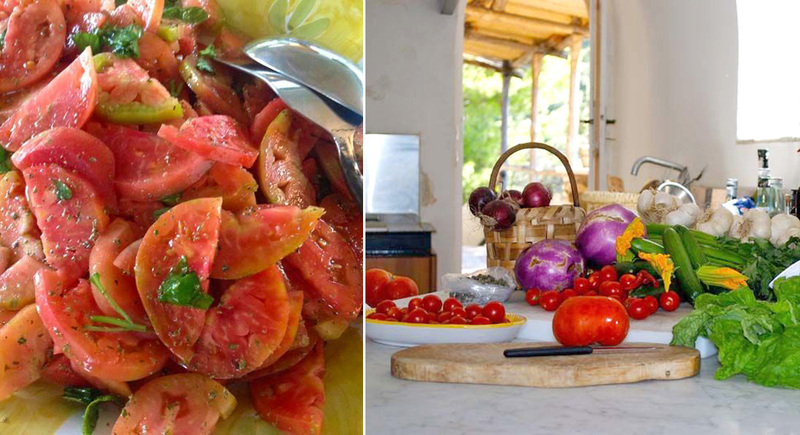 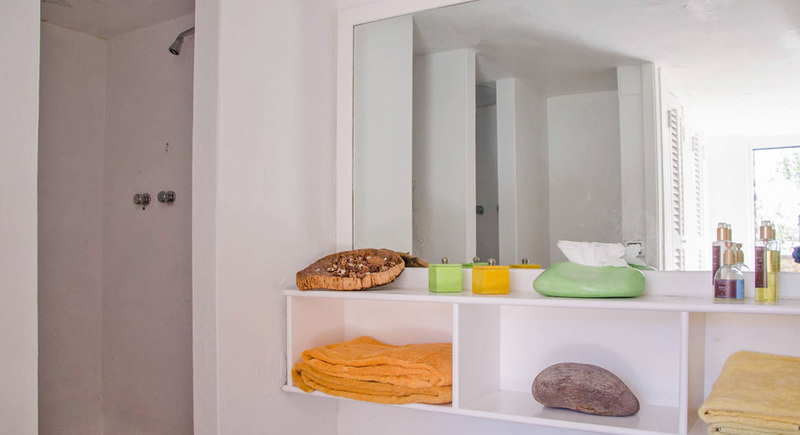 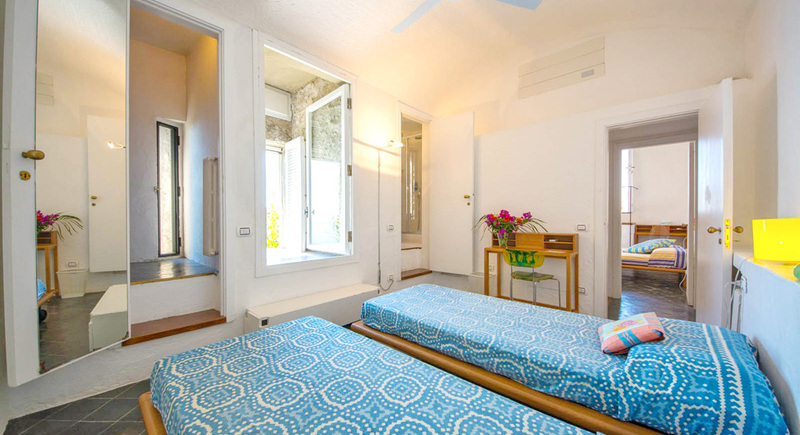 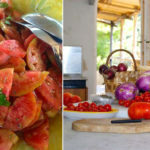 • Within the large estate there is another independent rental villa called La Fontanella. 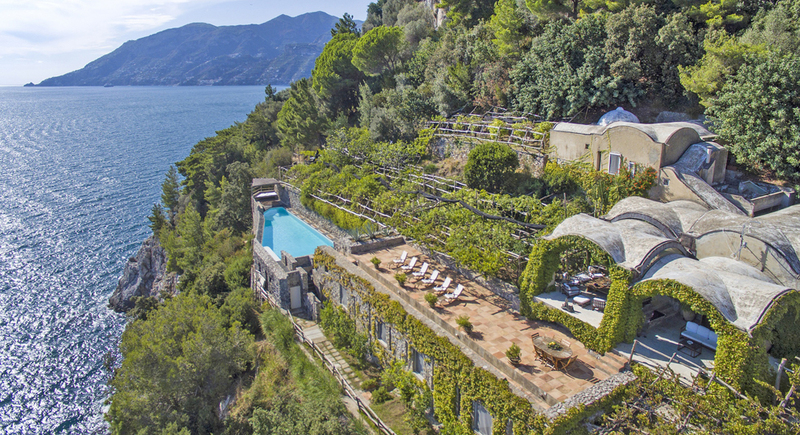 It is possible to rent the entire estate accommodating up to 26 people. 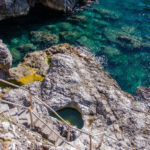 • Private Grotto. 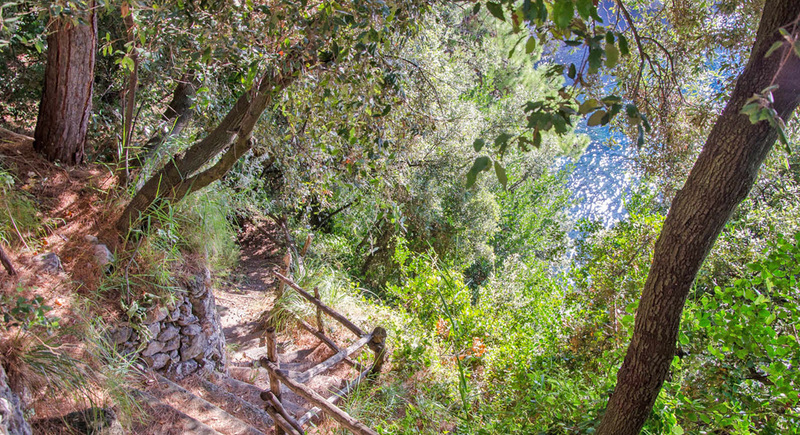 Nestled deep into the cliff, it is accessed by another winding path that leads you into the grotto itself. 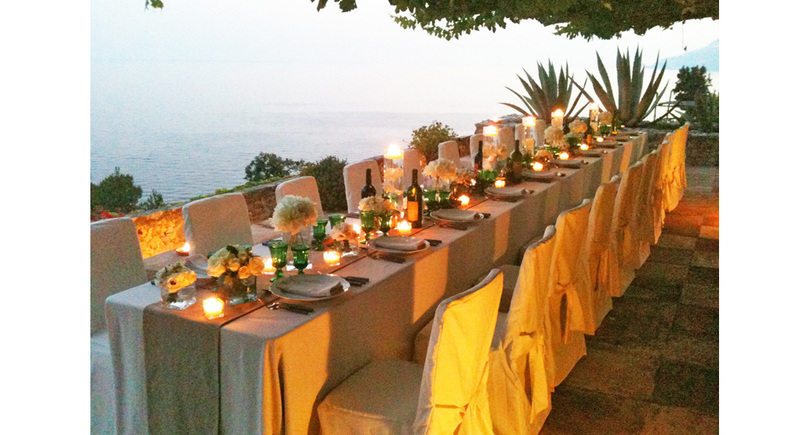 Classical music concerts can be staged here upon request. 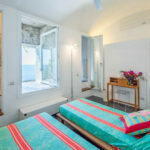 • Pompei The buried city was rediscovered in the 16th century, but exploration only began in 1748, and continued systematically through the nineteenth century up to the most recent excavations, aimed at restoring and attributing the proper value to the ancient city and its exceptional archeological heritage. 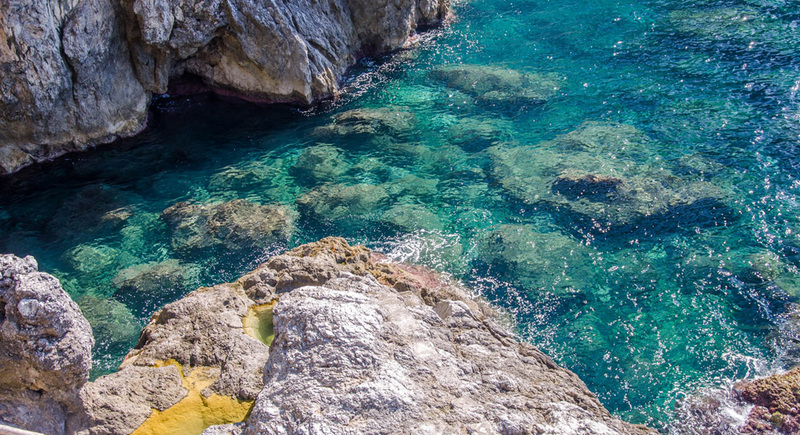 • The Blue Grotto is one of several sea caves, worldwide, that is flooded with a brilliant blue or emerald light. 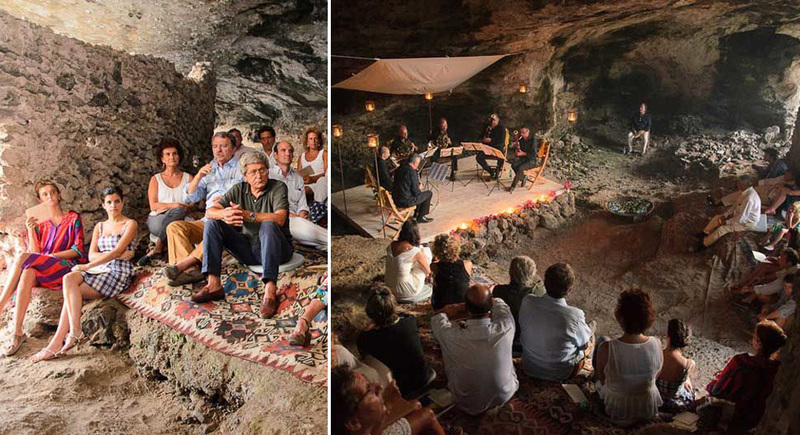 The quality and nature of the color in each cave is determined by the unique lighting conditions in that particular cave.